Home JOBS Ahoy! Marketing Jobs With BYJUs – Apply Now! Marketing Jobs With BYJUs – Apply Now! Marketing jobs are here to stay and it is highly unlikely they will go out of fashion anytime soon. Marketing has always been an integral part of any industry and good marketers, who are ready to understand their audience and experiment with all forms of marketing are always welcomed with open arms. And, given the importance and rage of marketing jobs, today we are here with an exciting marketing opportunity with BYJUs. BYJUs is not exactly a new name for job seekers anymore. With the idea to redefine how people look at learning, BYJUs has created a unique place for itself in the hearts of the audience. So much so that, Think & Learn, the company behind BYJUs has received numerous awards since its inception and has grown at an unbelievably fast pace. BYJUs aims to provide students with ‘crucial competitive advantage in learning’. Not just that, it also works on strengthening and clearing the basic concepts of any subject to help students do better in their exams. While in today’s world the focus is more on marks than actual learning, BYJUs is trying to bridge the gap between the two. Whether it be school examinations or exams like CAT, JEE, IAS, GRE or GMAT; BYJUs has extensive preparation material for all. Currently, BYJUs has stamped its name as India’s Largest Ed-tech company and has successfully channeled the addiction of the current generation towards smartphones to something fruitful. BYJUs is looking for people with strong communication skills – verbal, written, telephonic. Someone with excellent organizational skills and the capability to solve problems creatively will be a great fit. Also, you would need to have a keen interest in not just education but business along with a thirst to understand the audience. Understanding the audience is the key to see what will work with them, the line of communication you must choose and the steps you can take to maximize the number of people being associated with BYJUs. If you can work with the attitude of ‘closing the deal’, then you will feel at home at BYJUs. If selected, you will be given the rein to contact potential customers/partners and discover what works for them. You will have to be involved in the screening of deals and analyze the market strategies and the requirements of the deal. You can apply for this job opportunity here! 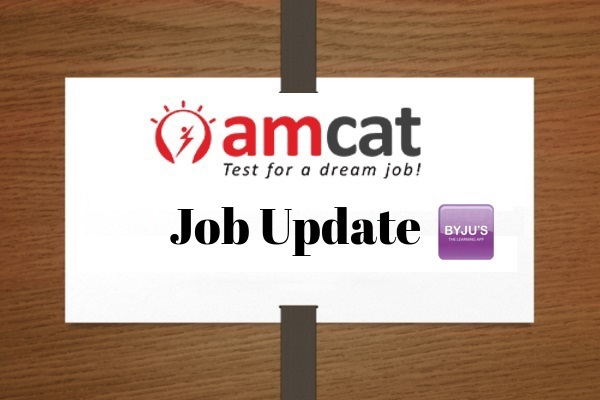 To apply for this Marketing jobs opportunity with BYJUs, you need to score really well in the AMCAT exam. 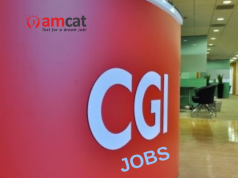 The initial screening will be on the basis of your AMCAT score, based on which the shortlisted candidates will be called in for further tests and interviews. After you are shortlisted, you will be expected to give a telephonic interview which would be then followed by an assignment allocated by the BYJUs team. If your performance is acceptable, you will have sit through a final face to face interview. Marketing Jobs can be really fulfilling, rewarding and exciting. And, when you get the opportunity to work for a reputed brand like BYJUs, then you should definitely grab the opportunity with both hands.